Virginia's State Board of Elections temporarily delayed certifying results in two House of Delegates races in the Fredericksburg and Stafford County area because dozens of voters were wrongly assigned ballots in a race that could determine which party will control the chamber. RICHMOND, Va. — Virginia’s State Board of Elections formally certified Ralph Northam’s election as governor on Monday morning, but declined to certify results in two House of Delegates races. Virginia Department of Elections Commissioner Edgardo Cortes said at least 80 voters in Fredericksburg were wrongly assigned to the 88th House District rather than the 28th District. He said that it is possible that more voters could have cast ballots in the wrong race in Stafford County and Fredericksburg. The State Board of Elections made the unusual decision to delay certifying results in the two races for several days while Democrats file lawsuits. In the 88th District, Republican Mark Cole easily won re-election. But in the 28th District race to replace retiring House Speaker Bill Howell, Republican Bob Thomas leads Democrat Joshua Cole by 82 votes, according to the results presented to the Board of Elections on Monday. The ballot problems date back to an unexplained change made in April 2016. Several Republican party leaders told the Board of Elections the results should have been certified. Cole’s campaign said they hoped to reach a bipartisan solution to ensure nothing similar would happen again. The Republican appointee to the board, Clara Belle Wheeler, urged all of the registrars and other elections officials in the room to go back to their jurisdictions and ensure no other voters were incorrectly assigned to the wrong district elsewhere in the state. However two Fredericksburg residents working with the Cole campaign said they have uncovered additional mismarked district lines. In two other tight House races, the Board of Elections certified the results allowing the Democratic candidates who trail in the contests the right to file for a recount. 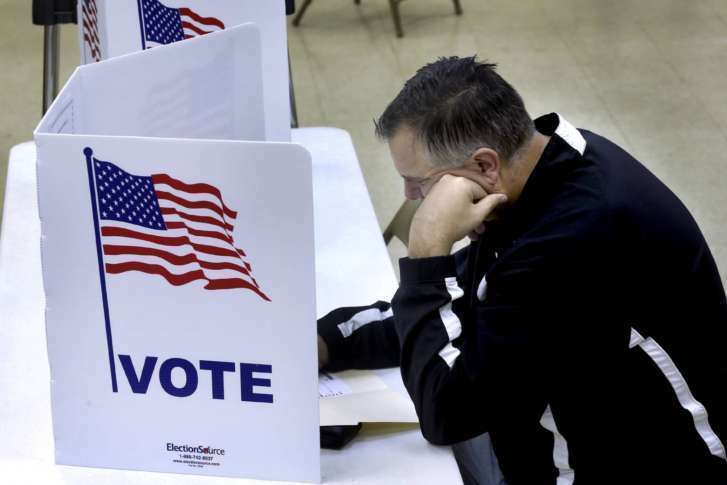 Just 10 votes separate the candidates in the 94th District in Newport News. And in the 40th District, covering parts of Prince William and Fairfax counties, 106 votes separate the candidates. A three-judge panel would oversee each recount. Republicans would control the House of Delegates 51-49 if recounts do not change the results certified by the board or the results in the 28th District. The board also certified Justin Fairfax’s election as lieutenant governor and Mark Herring’s re-election as attorney general. Fairfax is just the second black man elected to statewide office in Virginia after Doug Wilder, who served as both governor and lieutenant governor.